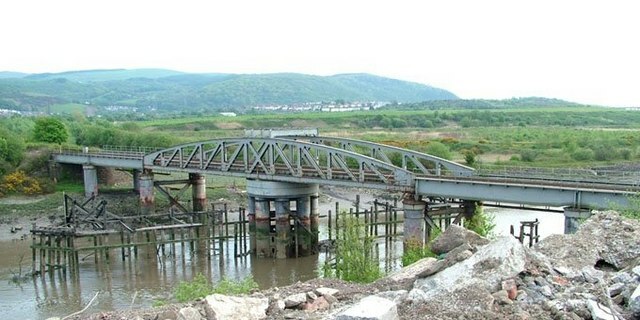 The Rhondda and Swansea Bay Railway Company opened its line in 1885, but could not extend the line into Swansea until this swing bridge was completed in 1894. I am grateful to the owner of Derwent Construction and his plant operator Martin for their assistance in getting this image. © Copyright Stewart Marchant and licensed for reuse under this Creative Commons Licence. This page has been viewed about 701 times.